Hi Everyone! I hope your week is off to a great start! I was excited to learn that Fireclay Tile has introduced a new tile line that is absolutely stunning! Whether you’re considering tile for your kitchen backsplash, flooring, bath, or other, you’re sure to find a unique and gorgeous option in Fireclay Tile’s new Sakura collection! 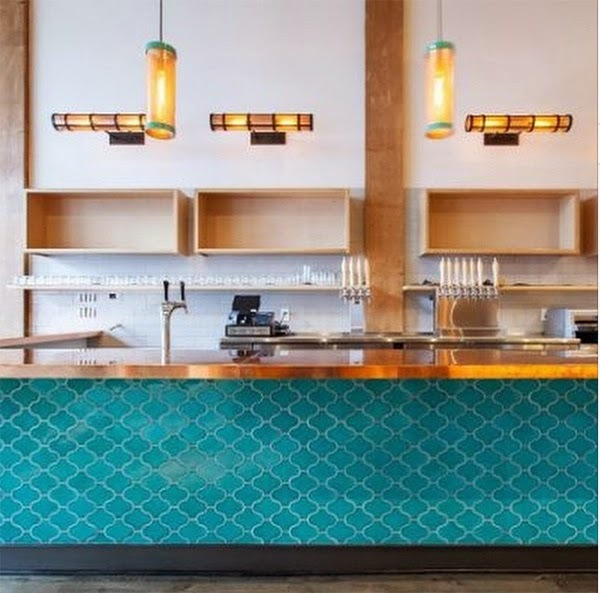 Their fantastic Instagram page will have you dreaming of these pretty tiles for days too. 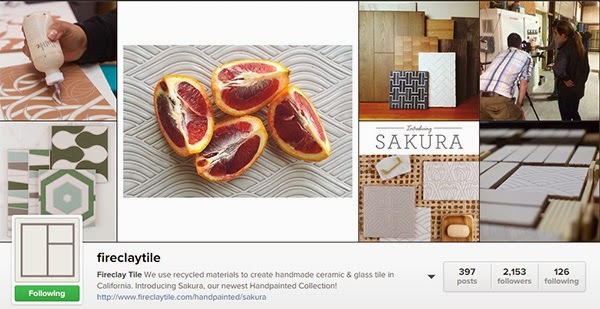 As you can see, Fireclay Tile’s Instagram page is filled with more beautiful tile inspiration. 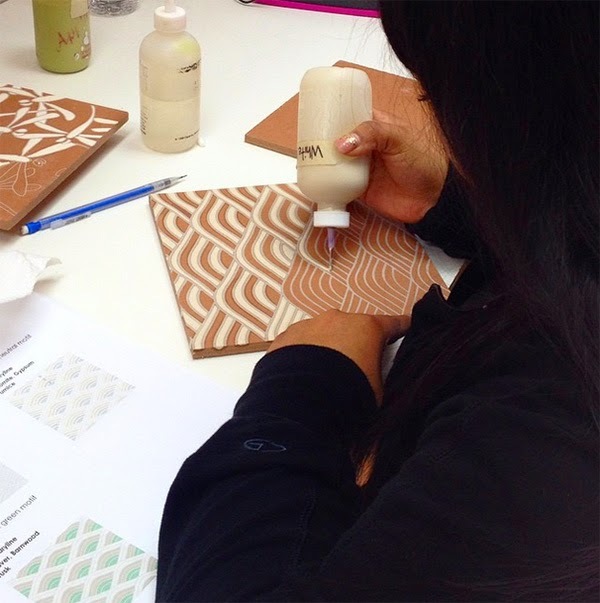 I love that we get to see a behind the scenes peek at how these tiles are made (below). 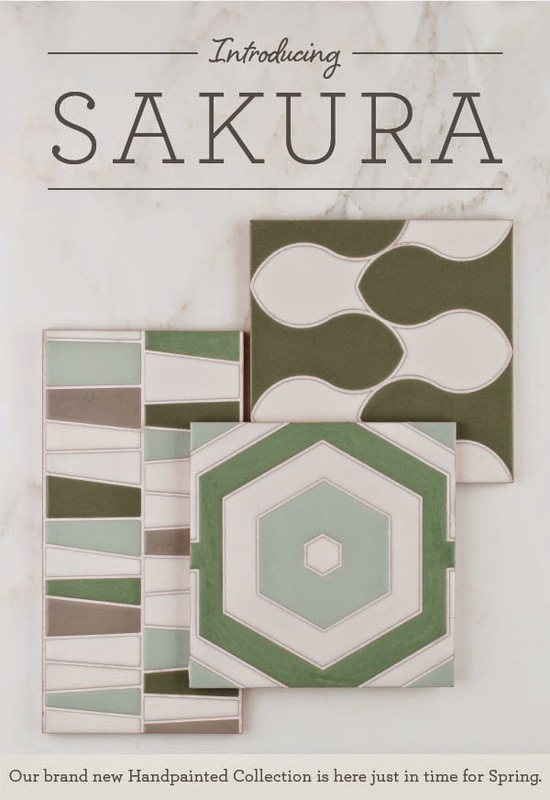 Fireclay Tile’s entire Sakura collection is hand-painted in a wide range of patterns and colors. These richly hued turqouise tiles really make this kitchen pop! 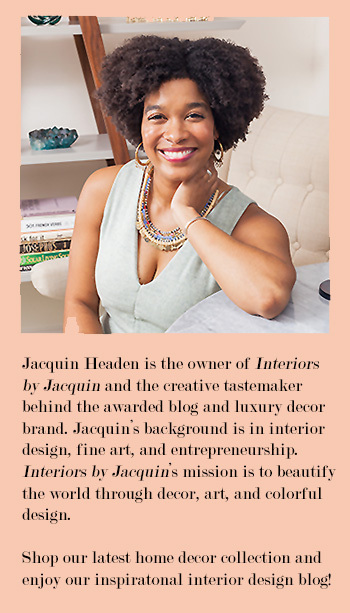 I’m definitely feeling inspired to go big with color when it comes time to custom design my custom kitchen. Anyone else loving this bold and bright tile looks as much as I am? 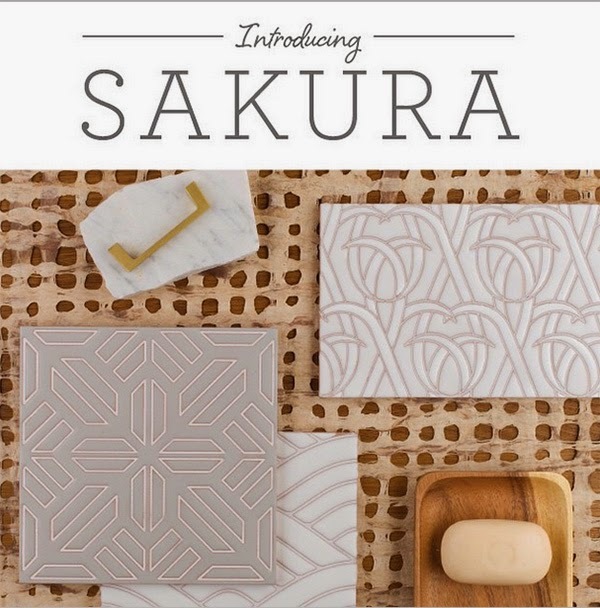 Would you give Fireclay Tile’s new Sakura collection a try? Where would YOU use this fantastic tile?